Samsung to launch Galaxy Note 8 in Next Now According to new report Galaxy S9 to come with Same Display as Galaxy S8 series. Samsung has already placed an order for the 5.8-inch and 6.2-inch Infinity Display panels for Galaxy S9 and Galaxy S9+, respectively.Samsung Display, to start manufacturing the same 6.3-inch Infinity Display that’s set to be on board the upcoming Galaxy Note 8 for the Galaxy Note 9. 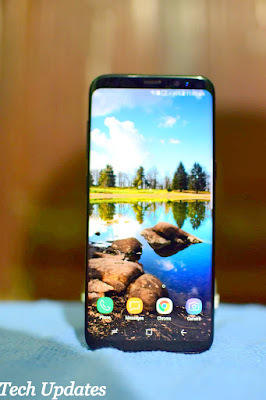 Samsung is working tirelessly to find a way to feature the on-screen fingerprint recognition technology that was scrapped from the Galaxy S8 at the last minute on the Galaxy S9 and Galaxy Note 9.